© ufotable inc.All Rights Reserved. A short description about the company “ufotable, Inc.” would help many anime and manga fans learn more about this company. 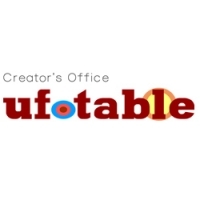 Do you know what “ufotable, Inc.” is all about? Then feel free to add a description to our database using our entry form. We’re looking forward to your contributions! Web, 13 (2017)Today's Menu for Emiya Familyufotable, Inc.
TV-Special, 1 (2017)Fate/Grand Order x Himuro no Tenchi: 7-nin no Saikyou Ijin Henufotable, Inc.
Movie, 3 (2017)Fate/Stay Night: Heaven’s Feelufotable, Inc.
TV-Series, 13 (2017)Katsugeki: Touken Ranbuufotable, Inc.
TV-Series, 12 (2016)Tales of Zestiria the Xufotable, Inc.
TV-Special, 1 (2016)Tales of Zestiria the X Prologue: The Age of Chaosufotable, Inc.